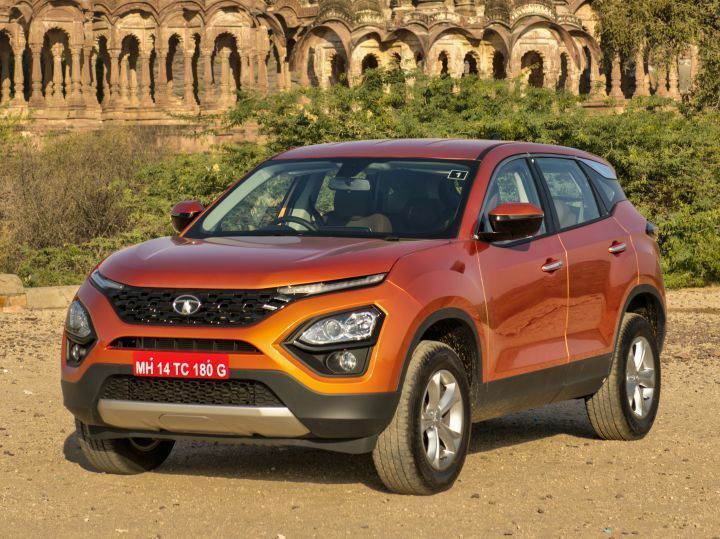 The Tata Harrier comes loaded with features that have never graced the cabin of a Tata car before, chief among which is the new instrument cluster. Though it is reserved for the top-spec XZ variant only, it is definitely worth an in-depth look. The instrument cluster is divided into two distinct sections: a good old analogue speedometer and a 7.0-inch MID (multi-info display). The standout feature here is obviously the digital screen that’s further divided into two sections. On the left sits the tachometer while all the vehicle information is displayed on the right, between the tacho and the speedo. When you start up the Harrier, the screen welcomes you with the Tata logo. A digital clock sits on the top right corner while outside temperature is displayed on the top left. The bottom left displays the engine temperature while on the right, you get an odometer. The fuel gauge sits vertically stacked on the right corner of the screen. The centre of the screen can cycle through five different displays. It projects a variety of other information as well. Open doors are represented via specific graphics for each door. The door ajar warning is seperate. In addition, all three driving modes are displayed graphically as well. This is accompanied by a voice prompt from the car every time you switch between them. It also shows cruising information when cruise control is activated. It can even display navigation information on the screen along with a compass (no pun intended) that replaces the tachometer. You can even use the navigation info on the MID via Android Auto. The new MID is a nifty little feature from Tata and we can expect it to grace more cars from the manufacturer in the future, including the upcoming 45X.